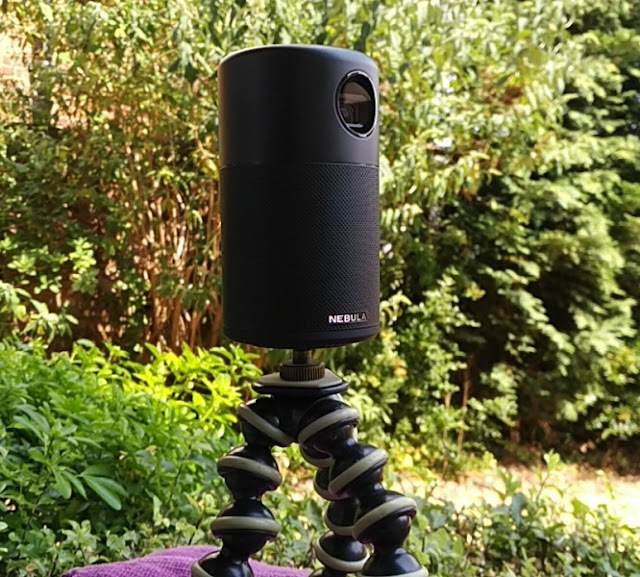 Putting a spin on the traditional Bluetooth speaker, the Soundcore Flare+ and the Soundcore Flare by Anker are eye-catching 360 degree Bluetooth speakers with a ring led light on their base that creates a super cool light show that syncs to the audio being played! 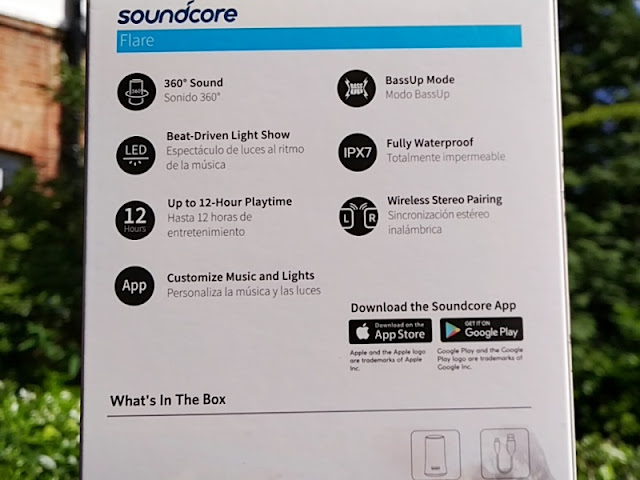 The Anker Soundcore Flare has a unique design reminiscent of a cooling tower, but instead of rejecting waste heat to the atmosphere, the Soundcore Flare surrounds you with room-filling sound waves. 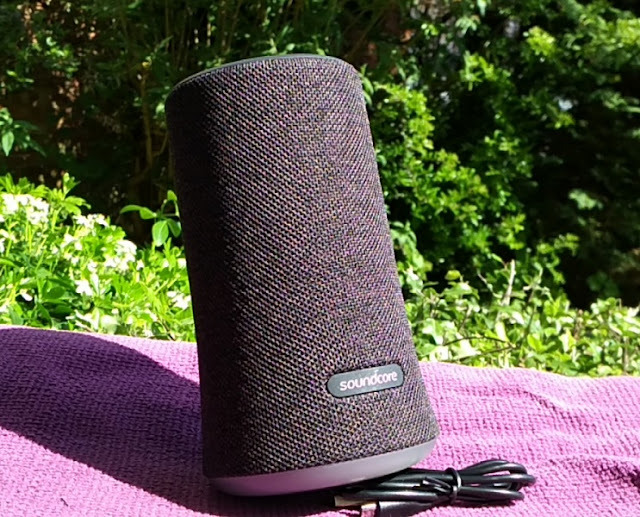 The exterior of the Soundcore Flare has the same cloth material as the Motion Q speaker, surrounding the speaker sides and rubber on the top and bottom, making the speaker suitable for outdoors. 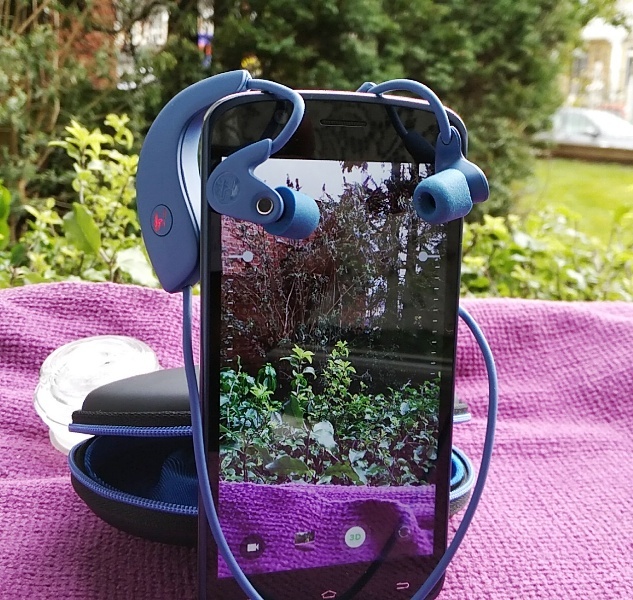 In fact, the Flare speaker has an IPX7 waterproof rating so you can actually submerged it in 1 meter (3.3 feet) for up to 30 minutes. 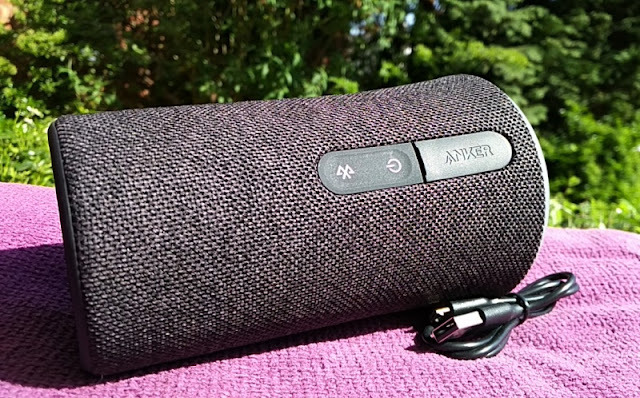 For being such a compact 360 degree Bluetooth speaker, the Anker Soundcore Flare packs a hefty sound punch via twin 6W speakers which output a total of 12W of continuous power. 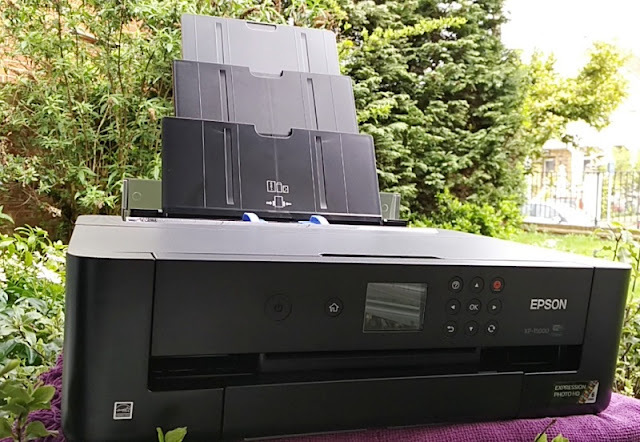 Wireless connectivity is via Bluetooth 4.2 with EDR integration which makes Bluetooth sound better than regular Bluetooth. 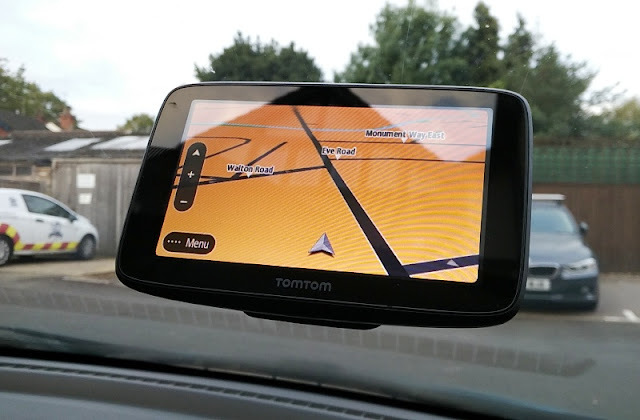 The signal coverage is also over a longer range (20+meters in direct line of sight). 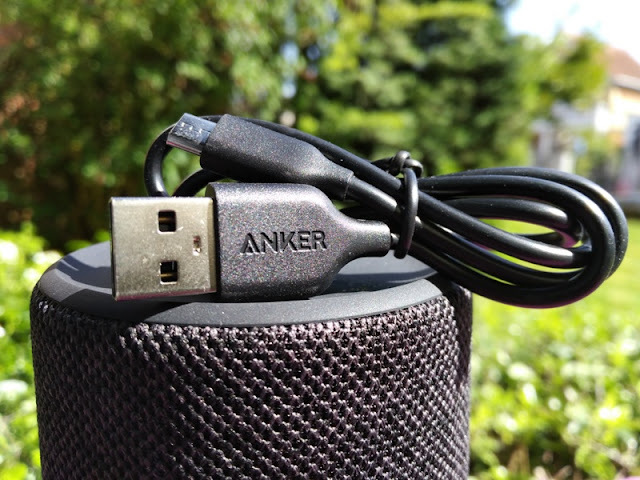 Input charge is 5V 2A so the Anker Soundcore Flare charges the 4400mAh internal rechargeable lithium-ion battery in just 3.5 hours. At 12 hours of playtime at 75% volume, battery power is long lasting. 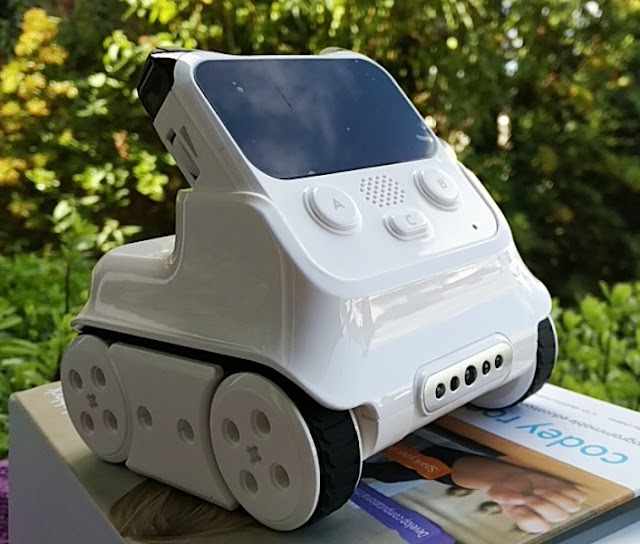 While charging the unit, you will see the led show solid red and turn off completely after full charge is complete. 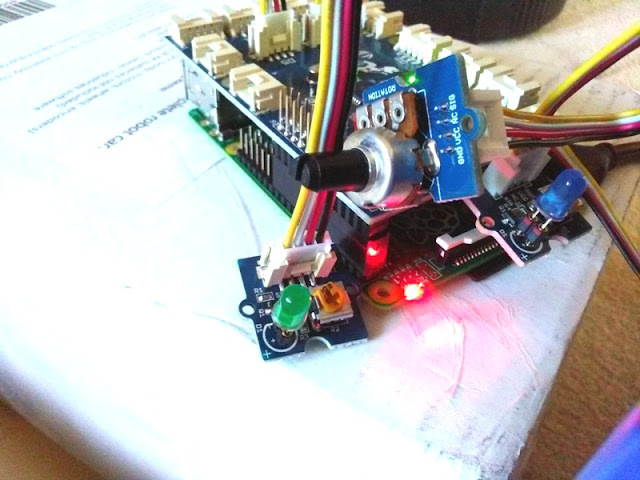 Slow flashing red led indicates low battery. 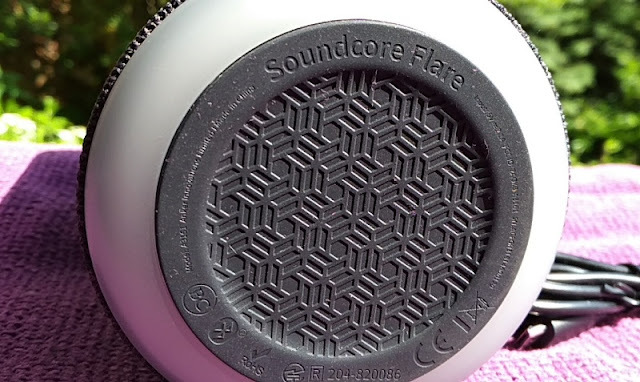 You get a total of six buttons, four on top of the Soundcore Flare and two buttons on the side of it. 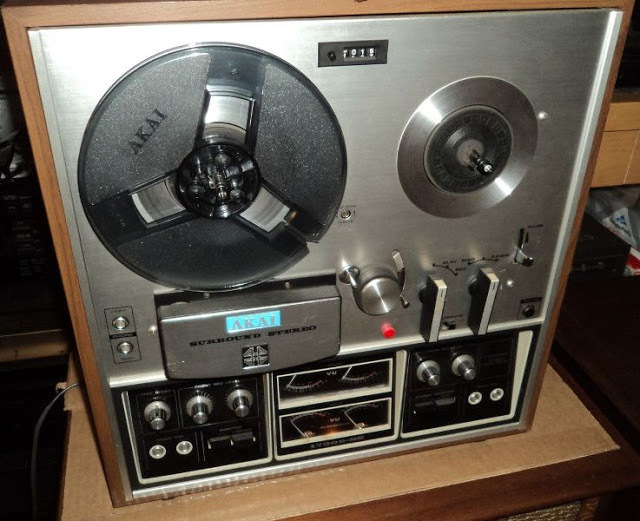 The buttons on top include two dedicated volume buttons, a light effects button and a "BassUp" button which increases the bass at any volume. 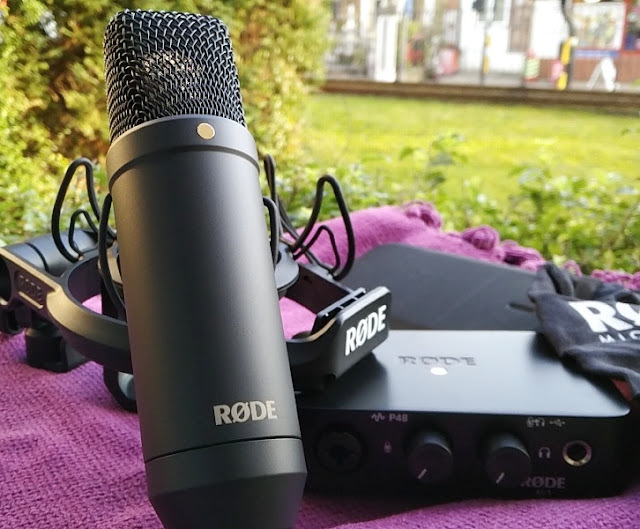 The multifunctional button in the middle controls the play/pause, phone calls, voice assistant and audio tracks. 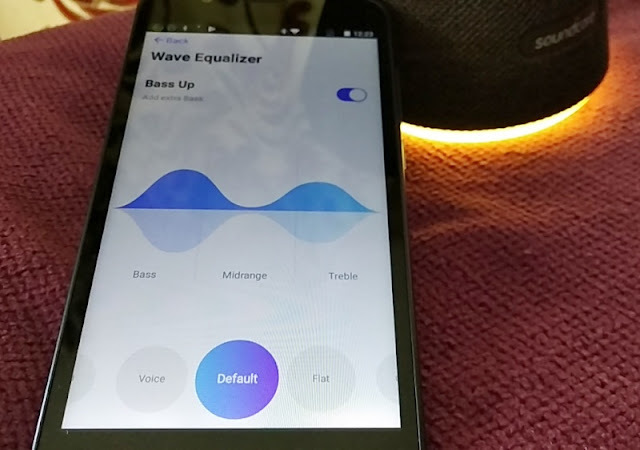 If your phone supports three-way phone calls, you can put a current call on hold to answer an incoming call via the Soundcore Flare. 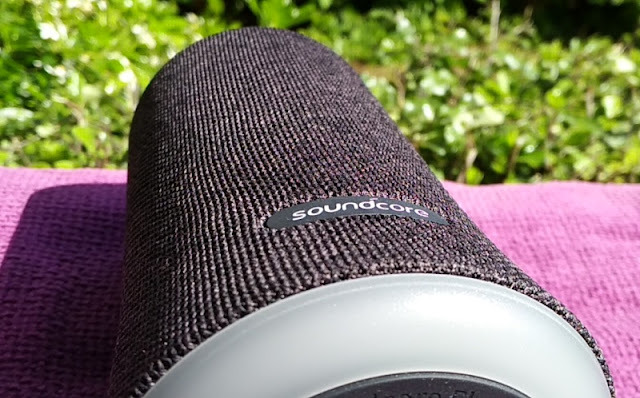 The buttons on the side of the Soundcore Flare speaker are the Bluetooth button and the power button, both of which integrate an led activity indicator. These two buttons are located just above the micro USB port and 3.5mm audio port which are protected by a rubber flap. 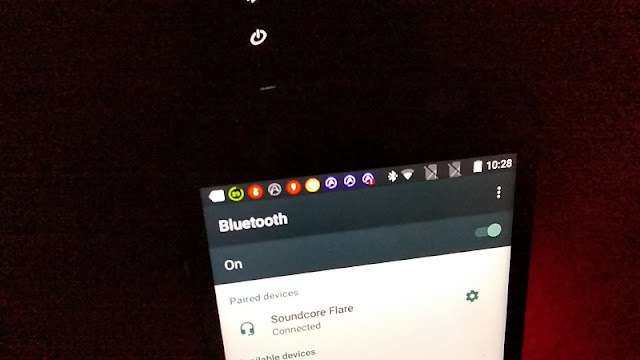 The bluetooth button flashes white when in bluetooth pairing mode and turns solid white when connected to a device. 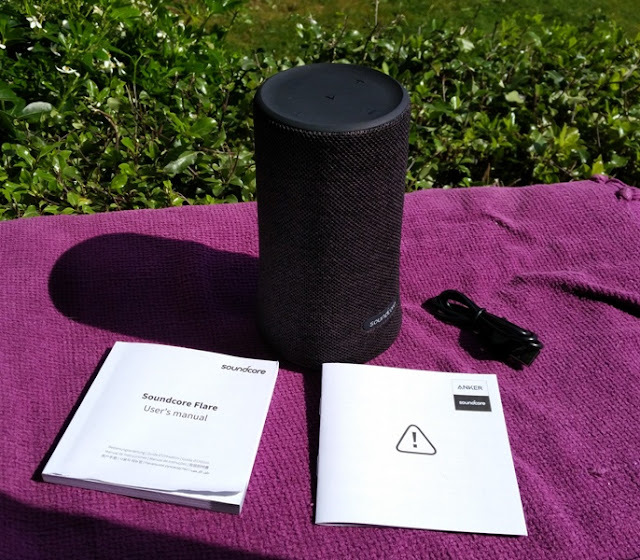 The Soundcore Flare has an additional feature, called "True Wireless Stereo Pairing Mode", that lets you hook it up to another Soundcore Flare for true wireless stereo. 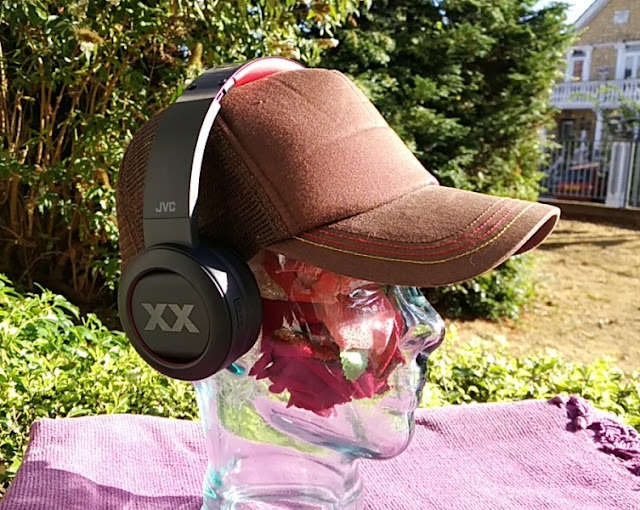 To enter "True Wireless Stereo Pairing Mode", simply hold down the bluetooth button for 3 seconds. 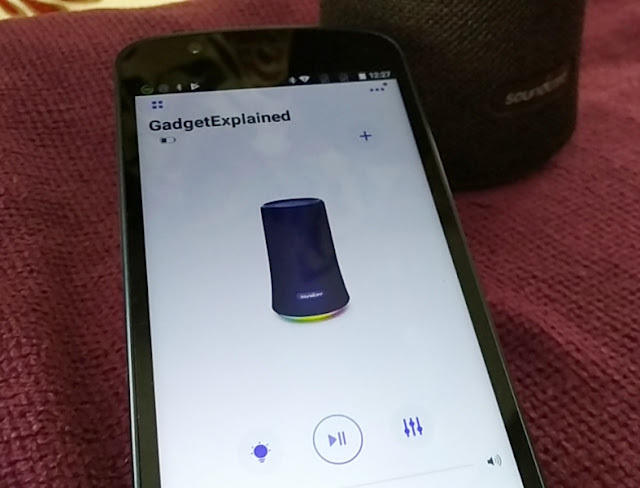 Speakers with a multi-speaker sync feature are pretty neat because they let you get a true left-right stereo sound. 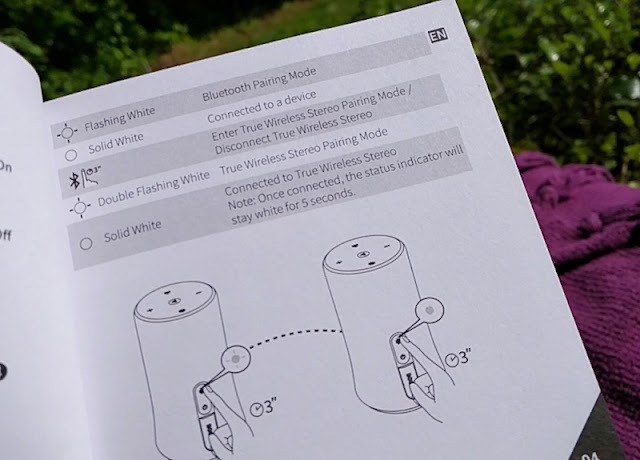 The Flare even has a feature called "Boost Up mode" which doubles the volume sound. 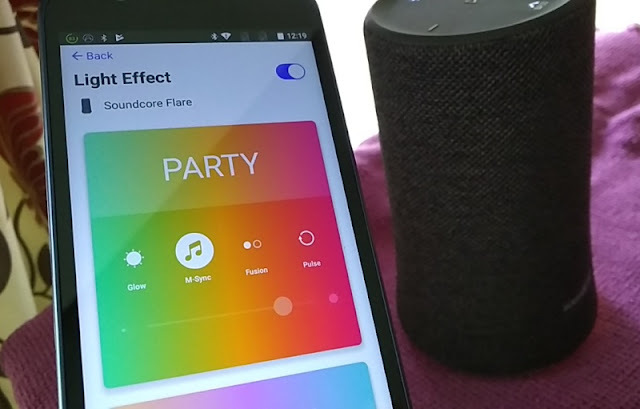 The integration of fully synced lights to the beat of the music makes the Soundcore Flare even more appealing. 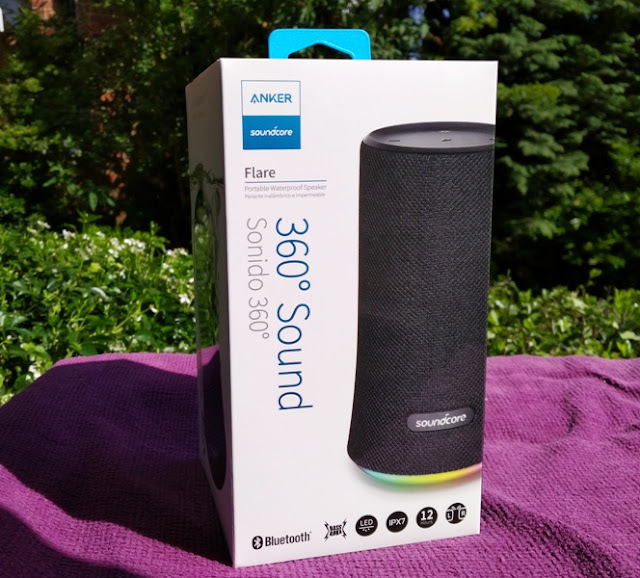 The Anker Soundcore Flare 360 degree bluetooth speaker comes in blue color, as well as a companion app for iOS and Android, called Soundcore App, which lets you customize equalizer settings and the led lights.